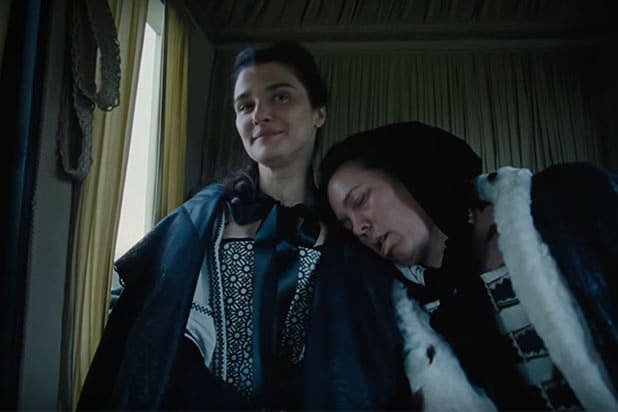 'The Favourite' Fact Check: Was Queen Anne Really Lesbian? WARNING: Contains major spoilers for “The Favourite” Do not read unless you’ve seen the movie. 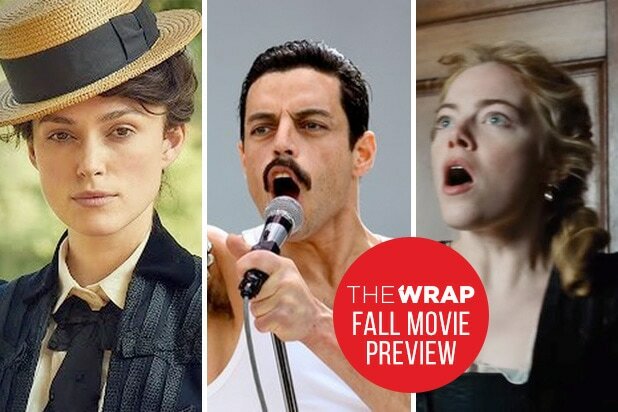 Historical accuracy isn’t exactly what Yorgos Lanthimos is going for in his latest film, “The Favourite.” Much like Armando Iannucci’s “The Death of Stalin,” Lanthimos is bending the facts of his period piece in the service of a gripping narrative with a dark moral… namely the corrupting nature of power. But while the details of the rivalry between Sarah Churchill and Abigail Masham for the affections of Queen Anne — like Sarah being poisoned — might have been creative license by Lanthimos and screenwriters Tony McNamara and Deborah Davis, the subject of whether Queen Anne had a secret romance with either of those two women was one that influenced her reign. According to the biography “Queen Anne: The Politics of Passion” by Anne Somerset, the Queen, contrary to the portrayal of her in “The Favourite,” was a reserved, almost stoic figure even as she became physically frail in her old age. While those displeased with her in court might have agreed with Lanthimos’ take on her as a timid monarch afraid of rocking the boat and choosing a side between the Whigs and Tories in Parliament, historians tend to view her unwillingness to commit to one side as a refusal to allow anyone to sway her decisions. But that didn’t stop Sarah Churchill. Somerset and other historians agree that the Duchess had a very deep and personal relationship with Queen Anne, and that she tried to use that relationship for political ends, as seen in “The Favourite.” Somerset describes Sarah as someone who was able to influence Anne in a way almost no one else could. Whether or not that relationship — and the Queen’s later relationship with Abigail — was romantic is something that isn’t made clear in Anne’s letters, and was the subject of court gossip. Somerset writes in her book that homosexuality was, of course, frowned upon in 18th century England, but was usually seen as something practiced in more sinful countries like France, where “young ladies are that way debauched in their nunnery education.” On the other hand, impassioned, seemingly romantic letters like the ones shared between Sarah and Anne were simply seen among the English patriarchy as the sort of emotional interactions women shared with each other. So it would be possible for women to hide their romance in plain sight… unless you were the Queen of England. In Anne’s case, she was the target of rumors spread by those displeased with her decisions that she was swayed easily by her “favourites,” and that she was emotionally and even sexually dependent on them. As Abigail Masham began to rise in Anne’s favor, Sarah tried to regain her former position by threatening to fan the flames of those rumors. Yes, the scene in “The Favourite” where Sarah blackmails Anne with the threat of publishing her personal letters really did happen. Somerset, who believes that Anne and Sarah’s relationship wasn’t sexual, also notes that Sarah spread rumors that Anne and Abigail were sharing a bed. When Anne heard that these rumors were going around, Sarah wrote a letter to her suggesting that she quash the rumors by kicking Abigail out of court. As in the movie, this ended up backfiring, as Anne sent Sarah packing, accusing her of “saying shocking things” about her both in their personal exchanges and to the gossipmongers at court. But whether or not Queen Anne really was caught in a heated lesbian love triangle, history shows that the core theme of “The Favourite” still rings true: Truth can easily be twisted and weaponized by those who seek power, and those who are disgruntled with the way of government can be open to having their political defeats be explained by salacious rumors and character smears. But as the Sarah Churchill of real life and the Abigail Masham played by Emma Stone in “The Favourite” learned, there is such a thing as too much deception. Try to work your lies and manipulations at the wrong time or in the wrong way to the wrong person, and you could be branded as someone who is never to be trusted again.